A commercial coffee machine created with looking towards the future. Union between audacious style and exclusive execution. With inimitable body composed of 76 tabs in stainless steel, laser cut, polished and welded manually one by one. 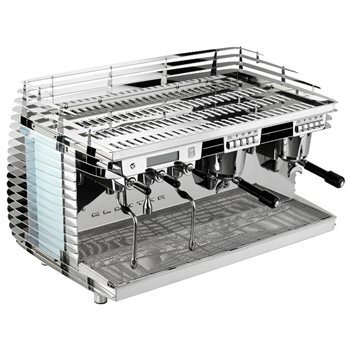 Aletta coffee machine is a compendium of new and historical patents among which the processing system of the water and the automatic milk frother.